CBS All Access might be the best way to enjoy your favorite CBS shows on the go, but for a while now, there has been a lot of room for improvement on Android. The app’s Play Store page is filled with low ratings and negative reviews. CBS is hoping to change that with a big update that greatly improves the user experience. Version 3.0 of CBS Access comes with a brand new design that promises to be faster and easier to use. 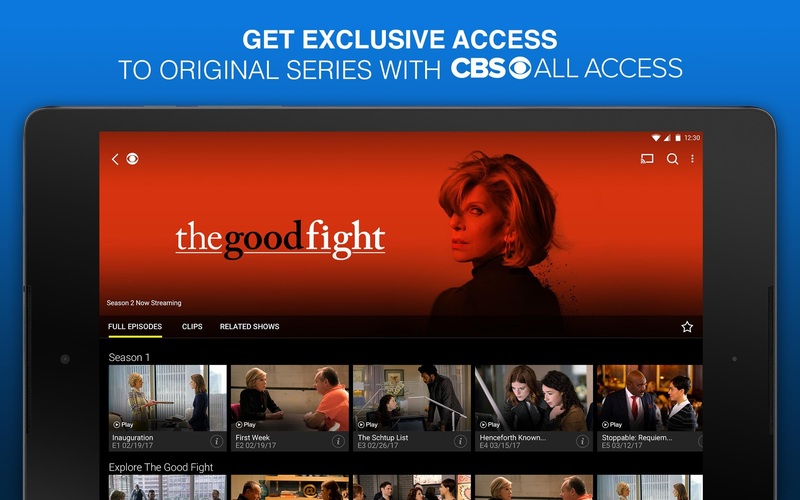 It lets you sign into your CBS All Access Account directly on your device for the first time, and you can now stream three channels of live TV: your local CBS station, CBSN, and CBS Sports HQ. What’s more, CBS has added two new sections — Continue Watching and Shows You Watch — which help you get to your content faster. Shows you’ve already started and those you’ve enjoyed before are now just a few taps away. Get your hands on the latest version of CBS All Access from the Play Store now.